Something so small and delicious can really make a difference in a child’s life. So, this year, when you are thinking of what you should bring to your staff party or annual Christmas party, how about making something that gives back? We decided to make super cute and festive (not to mention, bite-sized) white-chocolate rice treats. Easy to make and even more fun and delicious to eat! The holiday season isn’t only about receiving, in fact–we all know it as the season of giving. We always find a way to teach the girls to give back to those who aren’t as fortunate as we are. There are so many ways to do so and what better way than to make memories together by making a treat and at the same time, give a toy to a child. We made these Coconut Rice Krispies Bites and they are so simple to make! Try these coconut covered and white chocolate bite-sized Rice Krispies treats. Perfect for parties and festive! Make the delicious Rice Krispies treats as you normally would and roll them into small balls. Break the loop off of the mini candy canes and poke into the center of the balls. Place on lined cookie sheet (lined with parchment paper) and proceed to next step. In a separate pot, add about a 1/4 cup of water and place a glass bowl into the pot and add chocolate chips. Place half & half cream on top and on low heat, melt the chips until smooth. Place sprinkles in individual bowls and shredded coconut into another bowl. 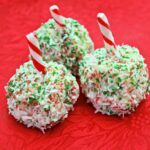 Simply dip the Rice Krispies balls into the chocolate and roll into each bowl starting with coconut and then rolling into sprinkles. Place treats back on the cookie sheet and place in the fridge until hardened. Then all you have to do is--enjoy! So Easy to Give Back! In the first two years of the campaign, Canadians helped Kellogg’s Rice Krispies raise more than $60,000 for The Salvation Army to buy toys for children in need. This year, the tasty goodness of Kellogg’s Rice Krispies continues to offer little ways to make a big difference. 1) First, choose your favourite variety of Kellogg’s Rice Krispies cereal to use as the base and add some snap, crackle and pop to your creation. 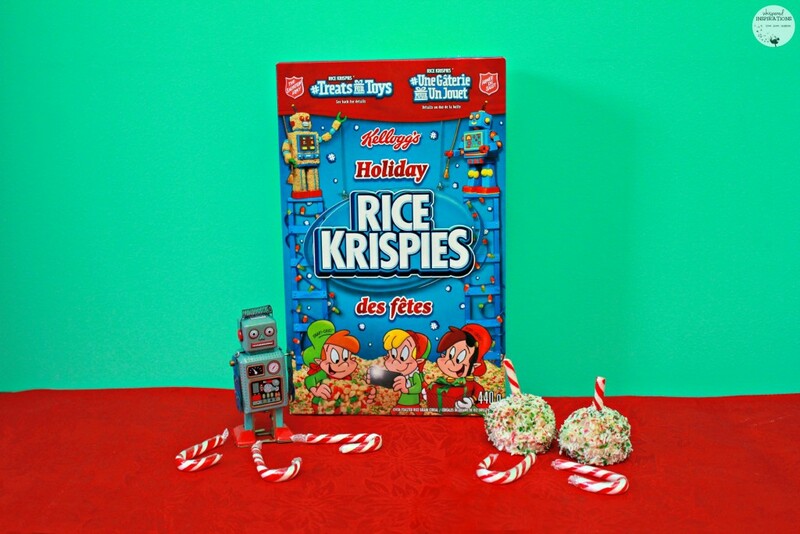 For a limited time, Holiday Rice Krispies cereal adds a burst of festive colour to your toy-shaped treat; Rice Krispies Original cereal is the classic choice for traditionalists; Rice Krispies with Vanilla Flavour adds a hint of sweetness to the original wholesomeness of rice. Rice Krispies Multi-Grain Shapes boosts the fun factor with whole grain, funky shapes and no artificial flavours or colours; and Rice Krispies Brown Rice Gluten-Free cereal is made with whole grain brown rice. 2) Create your toy-shaped treat using one of five Kellogg’s Rice Krispies recipes available on treatsfortoys.ca or design your own! 3) Take a picture of your treat and upload the photo to treatsfortoys.ca. You can also share your work of art on Twitter, Facebook or Instagram using #TreatsforToys. 4) For every photo received on the website before December 21, 2015, Kellogg’s Rice Krispies will donate $20 to The Salvation Army to buy a real toy for a child. It’s your turn! 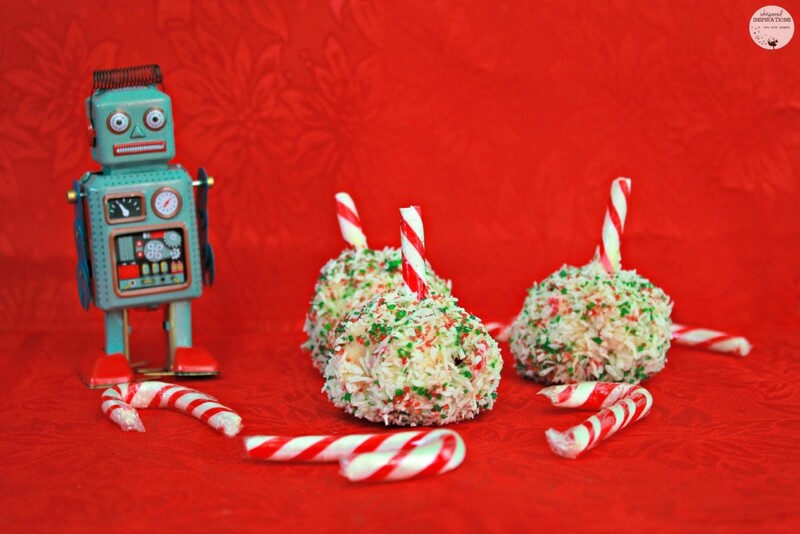 You can make whatever your heart desires, whether it is a toy robot, a butterfly or candy cane! Or you can make these bite-sized treats. To help you make your own treats and so you can upload your picture of your treat, one lucky Whispered Inspirations reader will win a prize pack of Rice Krispies, marshmallows and more! Check out www.RiceKrispies.ca to get all the information you need! Plus, you can check out all of the amazing creations that are already uploaded on their site. There is a lot of awesome and super cute treats! You might just find some inspiration there too! Check out some of our past treats. What would you make for Treats for Toys? I would make a cat and a car with Rice Krispie Treats! 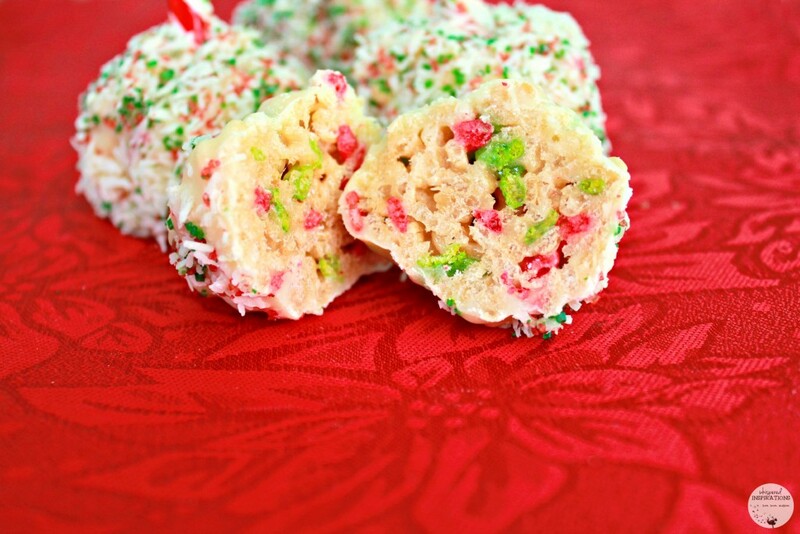 I would make Christmas tree rice krispie treats. I would make a car. My son would really like that. We'd make a drum shape. My kids are all into that right now. I would be making hockey sticks and pucks. My hubby always makes the traditional Rice Krispies treats just before Christmas…for Santa, of course! But then all the extras go to the family! I'd love to use this prize pack to carry on that tradition! I would make a teddy bear. I would make a doll or a princess. I love the Jord watch in your gift guide. We would make a vehicle…a train! WE'd make a doll shape. I would make a teddy bear with them. My little guys would love the BB8 droid. We would make a snowman. A teddy bear shape would be fun. We'd make a beach ball. I would make a monster truck toy with my boys! The first things we would make is a boat!! I would make a snowman with my kids. They would love that! I would make a robot! We would make a dolly. I think I would make gingerbread men. Making a teddybear would be fun. Maybe try to make some minions out of them. We'd make a space ship. We would make a robot, I think. We would make a car. I'd make tree shaped squares!